We had a really light week. With no lapbook to work on we had a pretty short work week. But we had a project on immigration that was so in my wheelhouse! We continued learning about the solar system. Since last week we were a little ahead of the game and researched all the planets this week was review. We reviewed the outer planets and how they differ from the inner planets. We also started working on cursive writing. Since Phi spent a good part of 2nd grade learning cursive (and is a waste of time in my opinion) this homework was all review. As a way to start working towards the state testing we worked on reading comprehension. Phi read some crazy ancient Greek fable and answered a lot of questions. 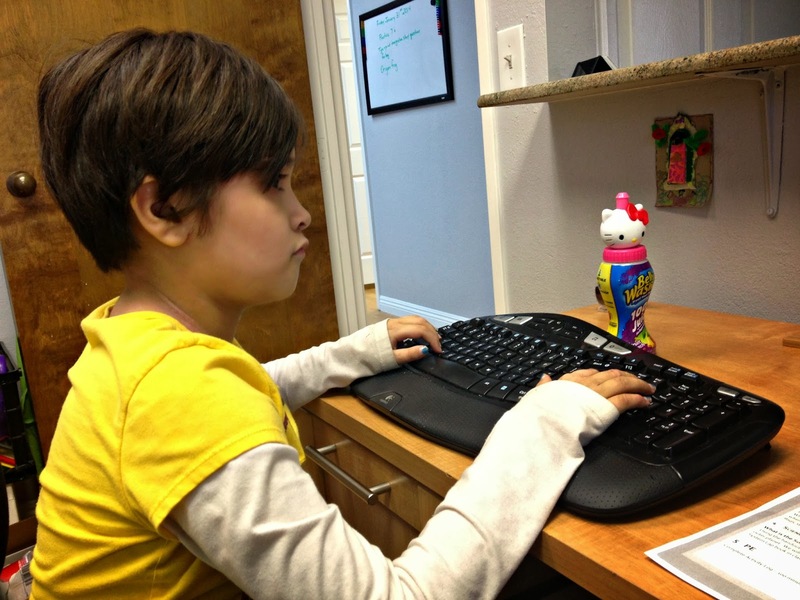 We reviewed things like time lines and words that help you follow with the story. Words like "first, then, next, finally". As for math we did some talley mark charts and continued working on multiplication. Phi is about to test out of her 7's. The big project of the week was all about immigration. With my background in Chicano Studies my family immigration story is so important to me. It drives me every single day in everything I do. When I think about the story of my Tata coming to this country I am filled with gratitude and pride and the obligation to make him proud. With this project I was able to share my family immigration story with Phi. We started by researching Guanajuato, Guanajuato Mexico where Tata was born and raised. We looked into the history of the area, from the tunnels originally used to divert water and stop flooding to the gold, silver and mineral mines. 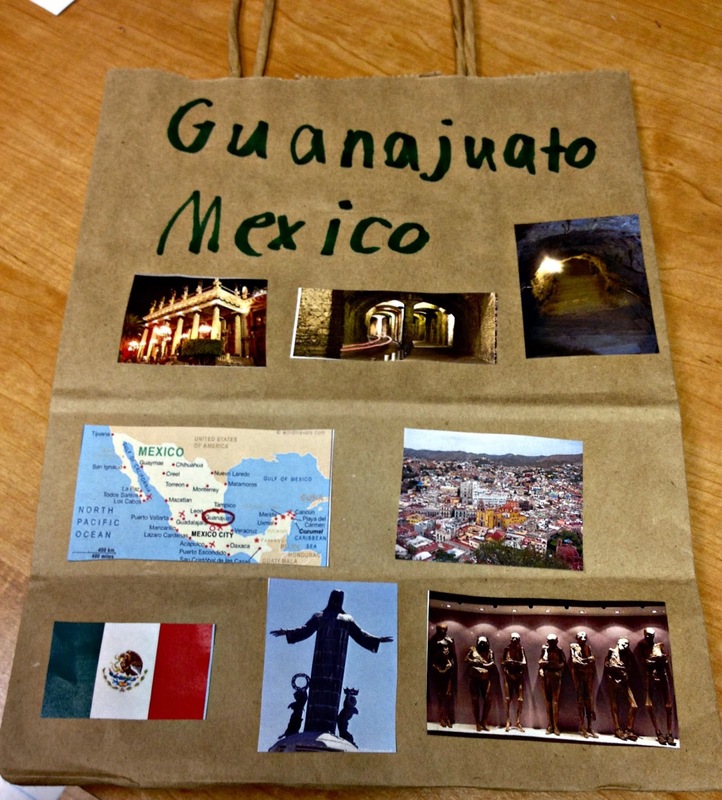 We learned that Guanajuato means "the hilly place for frogs" and that it is famous for its mummies! Then it was time to tell Tata's story. This is such an important life lesson for my kids but I didn't want it to be "academic", so we all snuggled onto my bed and with Phi's head on my shoulder I told her how brave and strong and smart her Tata was. 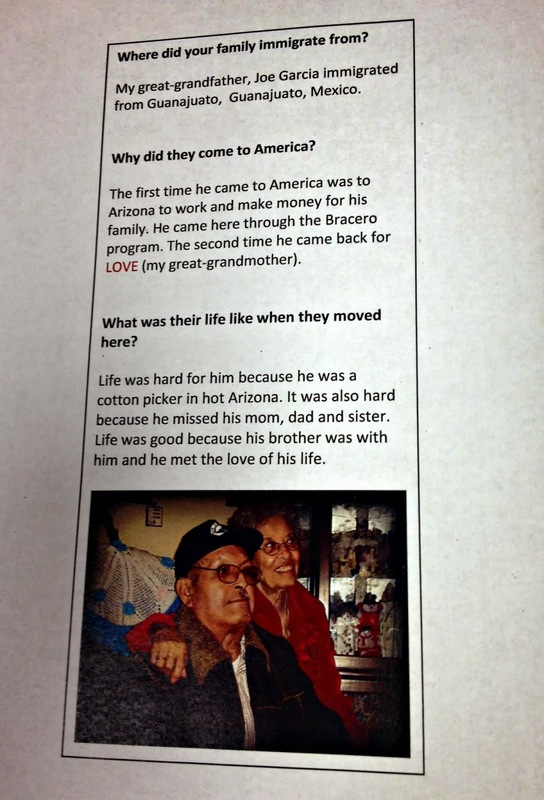 How is came to Arizona to work with the Bracero Program, and how he came back again for love. How Nana and Tata lived in Amado, Arizona when they first got married and how they moved to California before my Mom was born. Then I told her why it is so important for her to know this story. That her Tata's decision and action lead to her, sitting there on a big cushy bed with me. To bring the project together we made a bag presentation. 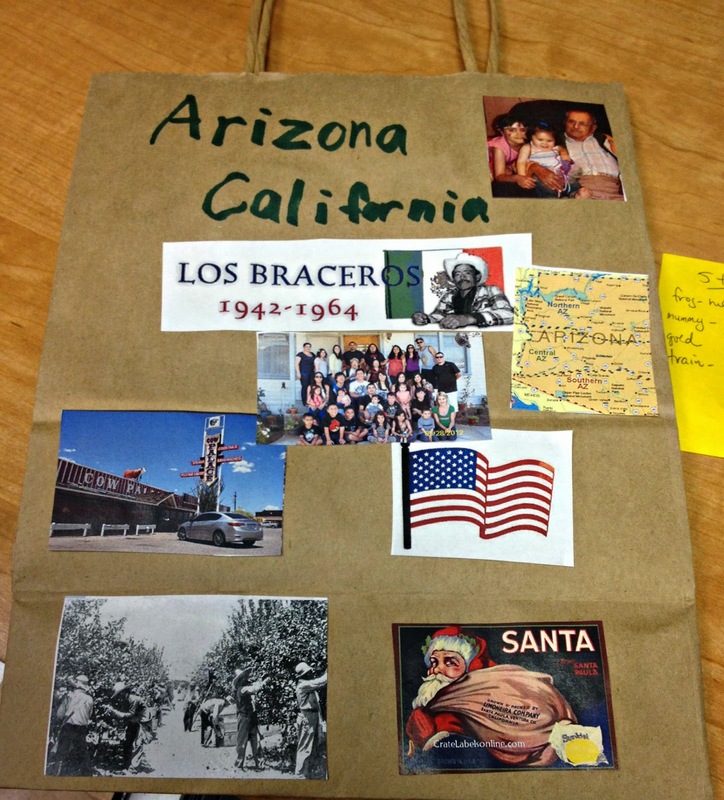 We took a brown bag and decorated one side with pictures of Guanajuato, and the other side with Arizona/California. On the side Phi typed up the answered to some basic questions. 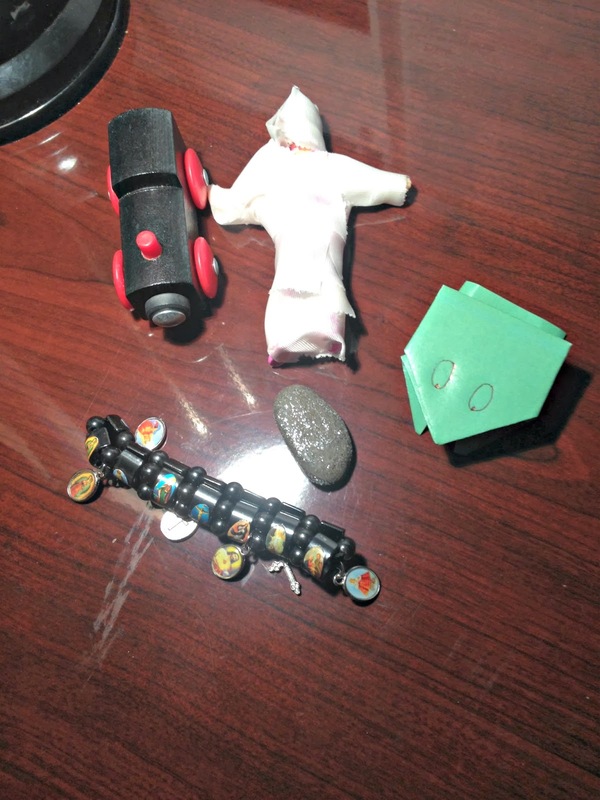 On the inside of the bag we placed 5 items to represent where Tata came from. 4. a bracelet with religious symbols to represent the fact that Tata was studying in a seminary before coming to the USA and his faith. 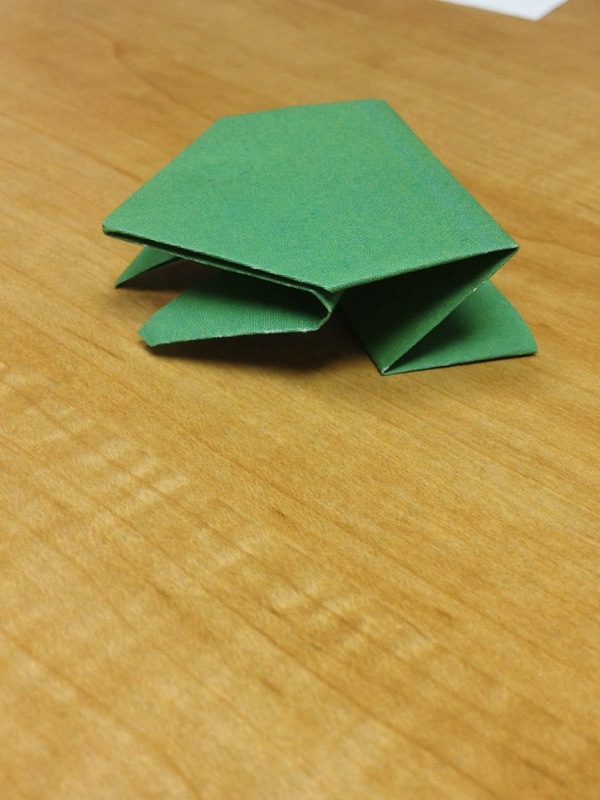 5. a frog to represent "the hilly place for frogs"
When it came to finding a frog I was stunned to find out that in the giant mess of a playroom the girls have, there was not one little toy frog. So instead we had a lesson in origami and made our own. He came out super cute! What a great week. I hope that Phi comes away with this project with a newfound love and even more respect for her Big Tata. As always I am looking forward to next week, and Phi is looking forward to the field trip scheduled for next week!